As much of any filmmaker, M. Night Shyamalan has had a career of highs and lows. His accolades have run the gamut from Academy Award nominee to Razzie frontrunner. He was once the talk of Hollywood, an up-and-coming filmmaker who had a gift to surprise his audience unlike anyone had ever done before. But as success came, so did increased scrutiny, and for whatever reason, he just could not maintain the same level of critical and popular approval. However, despite the nosedive of his career (and recent comeback) one thing you can say about M. Night Shyamalan is that he never strayed from his own vision and approach as a filmmaker. Despite all of the criticism he has faced, his films have consistently made money at the box office and he has maintained a strong commitment from audiences. If anything, Shyamalan has maintained our attention, kept us captivated and wanting more, which is even more impressive when you consider the fact that he has made more bad movies than good ones. Shyamalan is a rare example of a filmmaker whose films are more about the experience, the excitement, than the actual integrity of the end product. We simply can’t wait to see his next big twist unfold. Without even watching this film you already know M. Night Shyamalan was a bad fit for director. I understand he wanted to make a movie for his children, and there is some realization that directing a film he didn’t write, while also doing something completely different could have been beneficial. But no matter what excuse you make, it can’t cover up the fact that Shyamalan has never shown the skills necessary to make a movie like this. A live screen adaptation of a kid’s cartoon needs to be energetic, vibrant, and exciting. Shyamalan’s movies are often monotonous, crawling, and dark. Furthermore, the fact that he has almost always worked off of his own script means he has always had the benefit of being able to comprehend the vision of the script. Not having directed off of other people’s scripts can be more difficult if you don’t have that experience and connection. Look no further than the fact that many of the characters names from the source material are mispronounced in the film. All of these qualities Shyamalan lacks are on full display of this film, which should never have been made in this iteration in the first place. What happens when a director with particular style decides to completely ignore criticisms of his work and instead doubles down on the controversial approach? The Happening happens. The Happening is Shyamalan unrestrained. It’s a director trying to prove his worth, but pushing too far instead of reeling it in. The nonsensical plot insults the audience’s intelligence, even the title makes you wonder. To make it worse, the film is boring and the acting and cast is all wrong. We understand the message Shyamalan was trying to get across, but this one reeked as desperation rather then creative ingenuity. This film ranks lower than the despicable After Earth because for After Earth Shyamalan had a co writer on the screenplay. For this one, it was a solo effort, and Shyamalan takes all the blame. Proof of how far Shyamalan’s star had fallen is the realization that he had essentially become a director-for-hire by this point in his career. 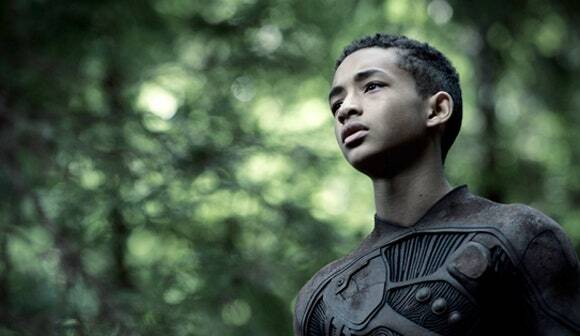 Rather than developing his own ideas for the big screen, he was attracted to the prospect of working with Will Smith to develop an idea originally conceived by Smith. Of course, Will Smith can’t take all the blame for this bomb. Shyamalan ultimately received screenwriting credits, and his shortcomings as a writer didn’t translate well to the realm of big-budget science fiction. Many of the same problems of Avatar: The Last Airbender popped up in this film too. A survival story such as this one needed adventure and excitement. Instead Shyamalan delivers melodrama, predictable plotting, and a by-the-numbers story. Shyamalan’s lack of ambition in this project is matched only by the terrible acting and special effects this film exhibits. Success breeds confidence, and certainly in film, self-indulgence. Lady in the Water was supposed to be Shyamalan’s answer to those who doubted him after The Village. The Village was the first hiccup in his filmography, and he thought that the critics had been a bit too harsh. So for his next film, he doubles down on the magical realism, casts himself in a major role where he is positioned as an important figure, and features a character which is clearly a jab at the hollywood establishment. Unfortunately, Shyamalan forgets that he’s making a movie for other people besides himself. It feels as if he is so caught up in his success that he forgets about what got him there in the first place. The film has been described as silly, nonsensical, and most fitting, arrogant. If anything, it is a great example of how much success can influence a filmmaker, for better and in this case, for worse. This pre-Sixth Sense film from Shyamalan finds the director still trying to find his footing in the industry. He hasn’t yet developed his penchant for psychological thrillers – or more accurately, he hasn’t yet convinced someone to allow him to make one. Those types of films are a bigger risk to production studios than a drama-comedy like Wide Awake. Here, Shyamalan is surprisingly given the opportunity to write and direct his first mainstream film. He borrows on experiences from his own life to tell a charming, if uneventful coming-of-age experience. It’s a perfectly acceptable mid-90’s family movie. Beyond that, it doesn’t really have much to offer. Shyamalan simply isn’t able to bring any excitement to this run-of-the-mill production. The script is as generic as it can be, a convincingly low-risk affair which is probably what helped it get greenlit. Still, it’s an important step in his career, even if we can overlook it. If The Sixth Sense announced Shyamalan as an up-and-coming filmmaker, Signs signaled M. Night Shyamalan’s arrival as a creative entity. Because of this success, he was granted more creative freedom for his next project, more money from the production studio, and an ensemble cast of bankable stars. Yet, despite and because of all of this, The Village became Shyamalan’s biggest disappointment to date. As anyone knows, the most challenging thing you can do is live up to the expectations of your highest achievements, and that is exactly what Shyamalan faced here. The Village somehow took Shyamalan’s most celebrated attribute, his stunning big-twist reveal, and made it into a joke. In many ways, Shyamalan was so focused on making that big reveal, he forgot everything else. This is a film that lives and dies on that twist because the characters, the premise, the dialogue, and the drama are not entertaining enough on their own to make the film worthwhile. What’s worse, is that when that big twist comes, the lack of logic involved makes it feel like you’ve just wasted two hours of your life. Good production and some interesting performances may be just enough to write this one off as a misstep to be learned from. After all, even the best directors are allowed to make bad movies, right? In many ways, Glass is the perfect representation of Shyamalan as a film director. On one hand, it is a big disappointment as a follow-up to a creative and well-received project, something Shyamalan’s filmography has no shortage of. But on the other hand it finds success in unexpected ways thanks to an unflinching commitment to achieve a certain endgame. Here, Shyamalan subverts our expectations for superhero crossover films but pulls off the fete nonetheless. We expect something big and brash, but end up with something low-key and quaint. For all the excitement of Split, the intrigue of Unbreakable, this one is talky and monotonous. The film’s most interesting attribute, besides seeing these interesting characters at work once again, is how it deals with our expectations for the genre. Shyamalan does things in his own way, for better or for worse, and you can’t fault him for that. We are, afterall, talking about a franchise superhero film made on a shoestring budget. It shouldn’t happen, but it did. At the lowest point of his career, Shyamalan found a way to work back to relevance. That process started with the release of The Visit. Where Shyamalan had previously tried his hand at blockbusters, science fiction, and fantasy, this one was something else that we hadn’t really seen from him before; a straight horror movie. Granted, his most successful films had all had contained horror elements, but they had been combined with attributes from other genres. The Visit is a more basic approach. It was proof that maybe Shyamalan’s talents as a director are best realized with small scopes, limited resources, and simple ideas. It is because he can take those elements and weave them into something entertaining. As a low-budget affair, there’s also less risk for the studio to have him give it a try. Maybe this film doesn’t push the boundaries, but it delivers on its premise. For a struggling filmmaker trying to regain his footing in an increasingly-competitive world, that’s a noteworthy achievement. Shyamalan’s follow-up to The Sixth Sense pushes many of the same buttons as that breakthrough. It is a dramatic thriller, deliberately paced with tension building from dramatic conflict until a final twist that works as the climax. Shyamalan’s clunky dialogue and his heavy-handed direction are its biggest let downs, but those faults don’t otherwise constrain the film from what it was meant to be. Like Shyamalan’s other best films, this one is ultimately a supernatural thriller, but it is dressed up as something else. Before super hero movies were a genre all to themselves, Shyamalan framed his film like a graphic novel coming to life, and spins an origin story of an unlikely hero and an unfortunate villain. But what makes it work, besides the intrigue created by the comic-book angle, is the tragedies of the characters it is so heavily focused on. Shyamalan is at his best when his focus is on people and what makes them tick. Here, he turns his magnifying glass to the seemingly superhuman. If The Visit proved that Shyamalan’s comeback could be achieved by going back-to-basics, Split is another big step forward. The script is focused and purposefully constrained, the scope is exactly as small as it needs to be to afford the plot the attention it deserves. This may have otherwise been a recipe for boredom, but it works because the main character is so complex. Kevin Wendell Crumb is captivating in both a good and bad way. Shyamalan makes us fear him and feel sorry for him at the same time. As the conflict rages inside his head, it spills over an creates an intriguing dilemma in the real world. The film works as psychological introspective, but dressed up as a juicy and tense thriller. Shyamalan has always been apt at providing his characters with dramatic motivation, and the more we are able to get inside their heads the better. This film practically lives inside of Crumb’s head, and that makes it difficult to get out of our own. Arguably, Split is a better film than Signs. But Signs earns the #2 spot on this list because of the intangibles. Signs was Shyamalan at the top of his game. After his breakthrough and a solid follow-up (see #4 on this list), Signs showed us that Shyamalan was not a fluke. Comparisons to Spielberg at the time were not unfounded. This film was proof that his techniques could be applied in different ways and yet achieve similarly entertaining results. There’s also something to be said about the legacy of a film which transcends its technical merits and hiccups. It captivated audiences in only a way Shyamalan could, and the box office proceeds are proof. Maybe today the luster has worn off a little thanks to the decline of Mel Gibson and the more critical approach we take these days to script logic. But despite those issues, Signs remains a rewatchable-entertaining movie that excels with simple, but effective thrills. Think about this, the success of Shyamalan’s films generally have to do with how well the audience receives the twist. Signs is the only film on this list where the twist is arguably difficult to accept, and yet the film’s overall impact does not suffer. Shyamalan’s best film is the one that took us all by surprise. Despite being well-known for his twisty plots, the films that came after this one in his filmography had the expectation of a good twist, which made them less surprising no matter how good the writing was. Certainly for some of us there is a fond memory of seeing The Sixth Sense for the first time and being taken completely by surprise. This level of shock and awe is very difficult to achieve in cinema, which is why it sticks with us. 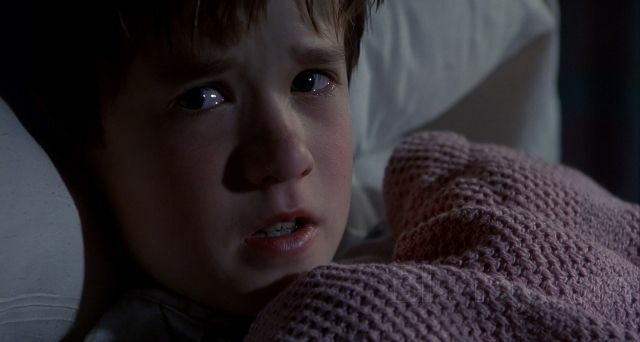 But, even without that trick, The Sixth Sense is still a well-made film. With emotional performances, intriguing drama to draw you into a tense script, and apt pacing, The Sixth Sense was among the best of the late 90’s/early 2000’s thriller craze, and it really stuck with audiences. The success of this film allowed Shyamalan more freedom as a filmmaker and has since become the blueprint to follow for the 21st century taut thriller. Is the Fantastic Four Dead as a Film Franchise?